Eckhart Tolle is a very resonate” voice of the Apocalypse. His Message is at the very heart of the awakening process. He does an incredible service of sharing with us his unique persepctive of “All That is” . I really enjoy his demeanor , his casual , calm presence which actually helps to put you in this relaxed state of presence. He just has a wonderful way of expressing himself and the nature of reality that we find ourselves in upon awakening, and he does so with a sense of humor and by not taking himself or anything too seriously. Awakening is more than just understanding physicality and the workings of nature, mankind, human civilization, and creation throughout the cosmos. While understanding these things helps you to navigate this process we are going through in very practical ways , there is nothing more practical then going deeper , and that’s what Eckhart and many others are doing now. Eckhart says “Ego only exists when you don’t know it exists” , and “Ego can only operate in you when you give it your complete identification”. To put it another way , if your living from Ego your essentially living in an unconscious state , when you see the ego for what it is , when you shine the blinding light of consciousness on ego its game over. He goes on to say that people who are living from Ego, do not know about ego , becasue they are in it, they are “It” , and this is the trap many people are still in and why they are so easily manipulated by “outer circumstances”. Once you see the Ego , once you acknowledge its existence , then you are on the road to further awakening , becasue you now have a choice. Eckhart has become very popular and has sold millions of books worldwide, and his increasing popularity is testament to the tide of humanity that “are” waking up to “what” we are. And what we are is infinite consciousness, and what Eckhart is sharing with us is that when you can live in the moment , when you can exist within the “present” , what he calls “presence” , your life will become more fulfilling on all levels. Its the same message that we are all “getting” right now , our collective voices are talking about , we are re-awakening to this most powerful realization and we are stepping outside of our Egos, outside of our stories, our so called lives, our “programs’ and we are acknowledging the true nature of “what we are”. 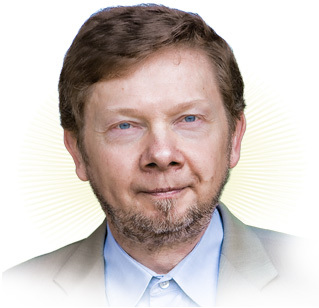 Check out the books below by Eckhart Tolle !